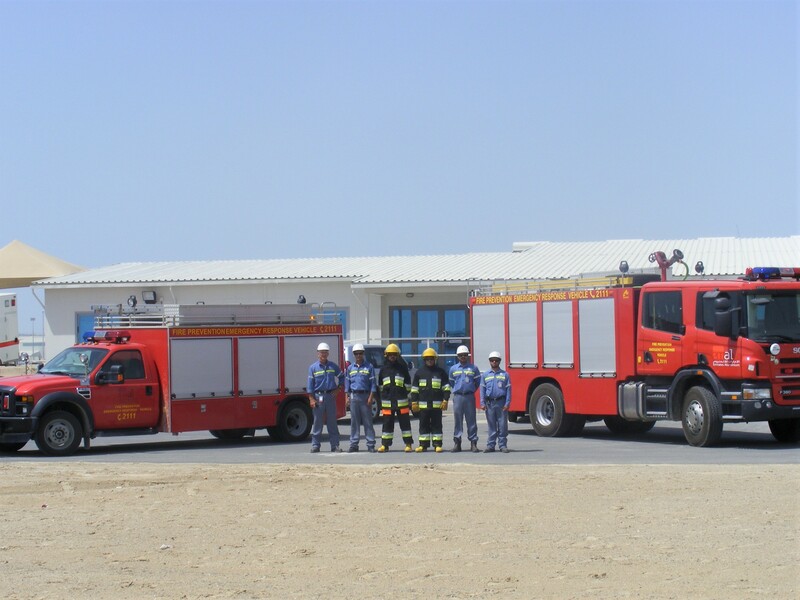 NRC provided firefighting response services to EMAL in Abu Dhabi, the world’s largest single smelter facility. NRC provided a 24-hour, 365 fire response service through our onsite stand-by teams. As part of this contract, NRC’s additional responsibilities include the development of evacuation plans and emergency exercises and maintenance, testing and repair of supplier owned firefighting equipment. NRC’s response team consisted of 5 x officers and 36 firefighter/supervisory personnel. NRC provided effective, efficient and continuous response cover to the complex. Main on-site services provided by the response teams include: emergency evacuations drills, building inspections, fire extinguisher testing/repair/maintenance, gas testing, sprinkler system checks and hydrant inspections, confined space entry gas testing and fire watch services. As the contract developed, NRC’s services expanded to include High Angle Line rescue, Water Rescue, Trench Rescue and an advanced Hazmat capability. Utilizing the NRC boats, Fire Response teams also provide emergency response to Khalifa Port under the authority of Abu Dhabi Port Company.